It’s easy to get overwhelmed by new product launches and the glitz and glamour on offer at Mobile World Congress. It now has all the cachet of Cannes, enclosed in eight enormous exhibition halls. There is serious insight to be gained and business to be done at the show. I’ve been coming for more than a decade and every year I come away with new ideas. As Sir Martin Sorrell said in Barcelona, too many brands are failing to get this channel right. Right now, it’s easier to experiment with mobile and at a lower cost than almost any other marketing channel. Marketers need to look at themselves as consumers and then compare their behaviour to their media plan. At a talk with BuzzFeed founder Jonah Peretti, I asked our client audience who used the platform in their everyday lives. Everyone put their hands up. I then asked who had invested ad budget with it and everyone put their hands down. Marketers are consumers too and our behaviour – even if we are not the primary target group – should inform what we do professionally. If MWC is anything to go by, VR is going to be huge. VR now comes as standard with some new smartphones and this is going to be a mass reach channel. Marketers need to work with their agencies to see how this powerful technology could be applied to benefit their businesses. We now talk about key retail environments as destination experiences but VR can bring a huge number of vivid experiences into the home or make them transportable. There are massive opportunities for travel, automotive and even product demonstrations within VR, either within pop-up locations or as content experiences. Connectivity now extends well beyond our handsets. We might use them to control devices around our home but the future of connectivity is not necessarily a screen. Much of our focus today as agencies is around digital video but Sony’s innovative Xperia devices show that brands need to consider communications beyond audiovisual. When the connected device is an earpiece like the Xperia Ear, a video won’t be relevant. Similarly the Oral B Genius connected toothbrush shows the power of gamification but also the benefits of the ecosystem – free brush heads from a health insurance company, for example – that brands can build around connected devices. For many, the future needs to be much more focused on services and recommendation engines to ensure deeper engagement and that their products and services are always on the consideration list. 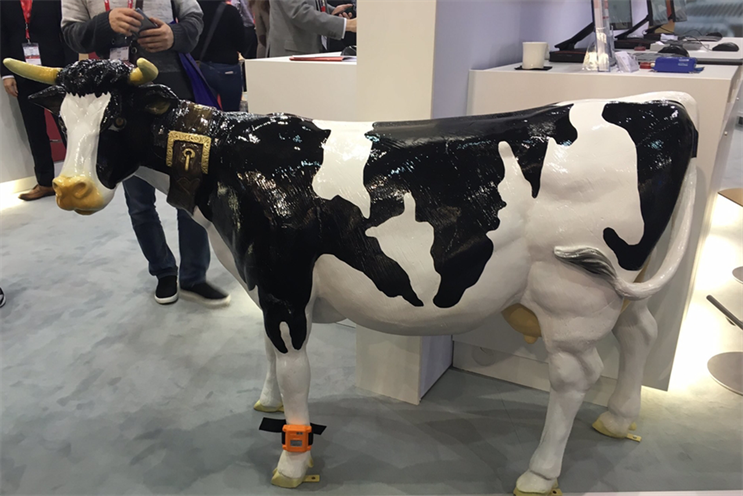 There was much mirth about the Internet of Cows at this year’s show thanks to a display featuring a bovine beefed up with a wide range of connected sensors to monitor its vitamin and nutrient intake and fertility. Connected devices will be mainstream from heavy industry through to pharmaceuticals in the near future. Mobile in its widest form has huge power to reshape industries and create new opportunities. The cost of sensors in many fields is now incredibly low and once the software is developed to visualize the data they provide, they have huge power to disrupt. This year’s show highlighted the fact that Apple is no longer leading the innovation in the mobile space. There is a huge amount of consumer-centric thinking going on, even in companies like Alcatel that aren’t as known for their innovation credentials. Apple’s products are still desirable, but unless they up their game, they won’t be the market leader for much longer. Apple famously doesn’t come to Mobile World Congress, and in previous years you could understand why, but now in 2016, it looks more like folly.